Shoestring Elegance: What to do Weekends #250 ~ Happy November! Hi friends and Welcome to What to do Weekends! Hello November! So excited to finally get some Fall like weather here in Northern California. There's even a chance of rain, that has a lot of us extremely excited, present company included. :) This is my favorite time of the year. I'm so grateful that you have come to join in the fun at this party! 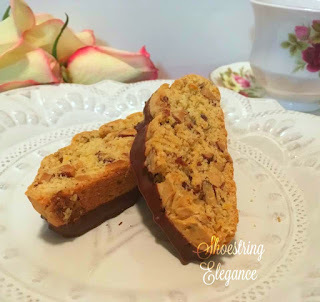 I got back to blogging myself this week and shared my locally famous recipe for Almond Orange Biscotti Recipe that is seriously far better than any I have ever tasted in any cafe. If you have a chance click on over and have a look. Now, time to get on with the party! 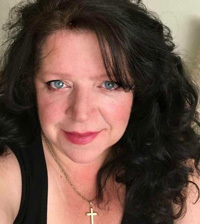 Please follow myself and Linda while you are linking up! Once again, you guys did not disappoint! So much to see, so little time! I'm always amazed at the amount of talent that is shared at this party. Just look at my first Feature tonight! 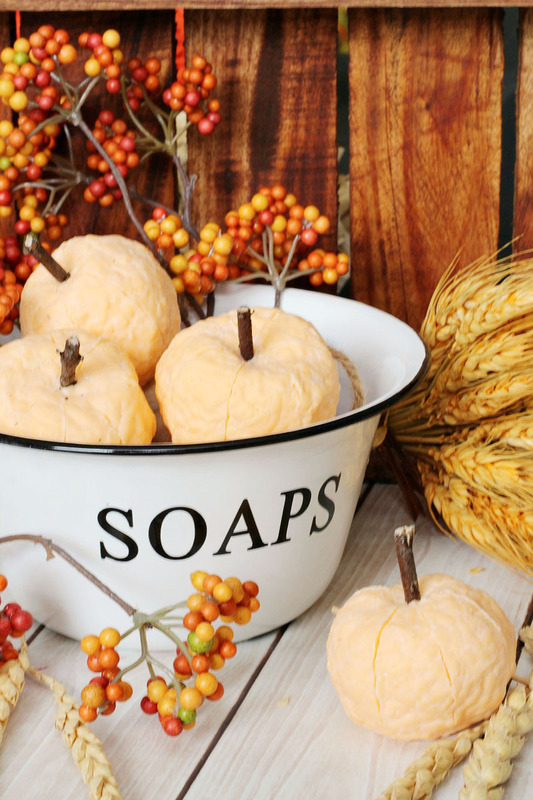 Jenn from Clean and Scentsible showed us how to make your own Pumpkin Soap! Love this idea! Don't Sweat the Recipe made this over-the-top Pumpkin Cake with Cream Cheese Filling. Swoon! I will be trying this recipe for sure! Kenyatta at My Design Rules shared this dreamy Kitchen by telling us not to Fear Painting Your Kitchen Cabinets I love the beautiful Blue she picked out! 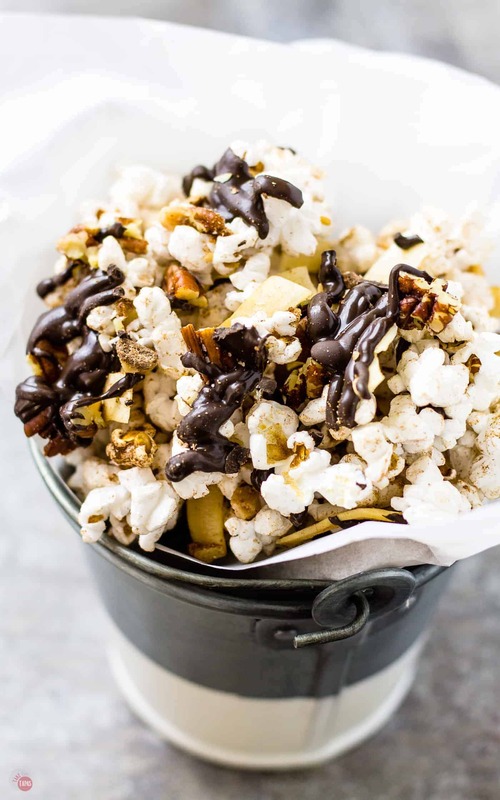 Take Two Tapas shared her yummy looking recipe for this German Chocolate Popcorn When would this not be delicious?! 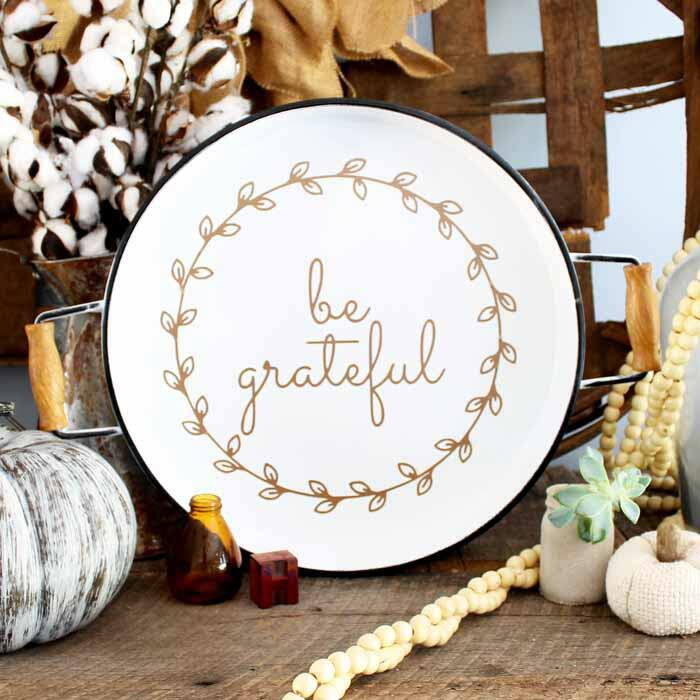 Angie at The Country Chic Cottage shared her adorable and apropos sweet Thanksgiving Tray Decoration Ideas and her results were adorable and something I would definitely be proud to have in my home. 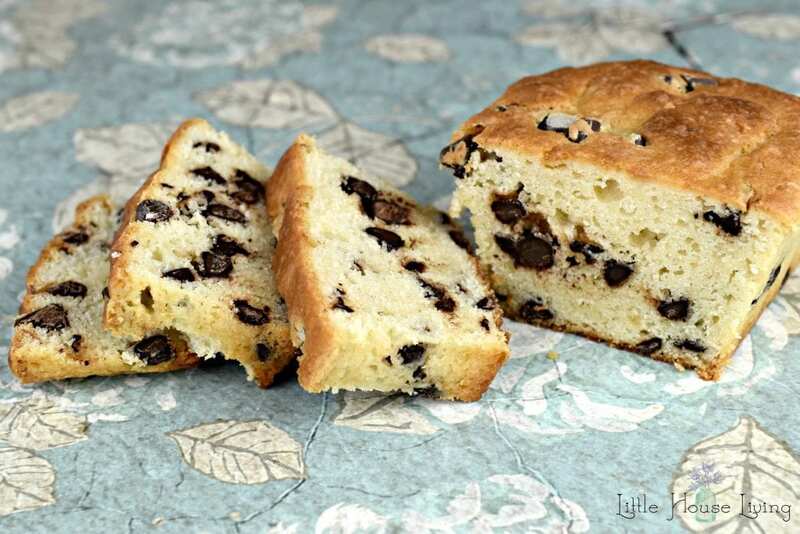 Merissa at Little House Living shared her simply yummy recipe for her Cream Cheese Chocolate Chip Bread. Merissa, I will definitely be trying out your recipe! Jolena @ While I linger shared her Nontraditional Fall Colors in the Living Room and I just love them! I wouldn't have thought if this, but I just love this look! 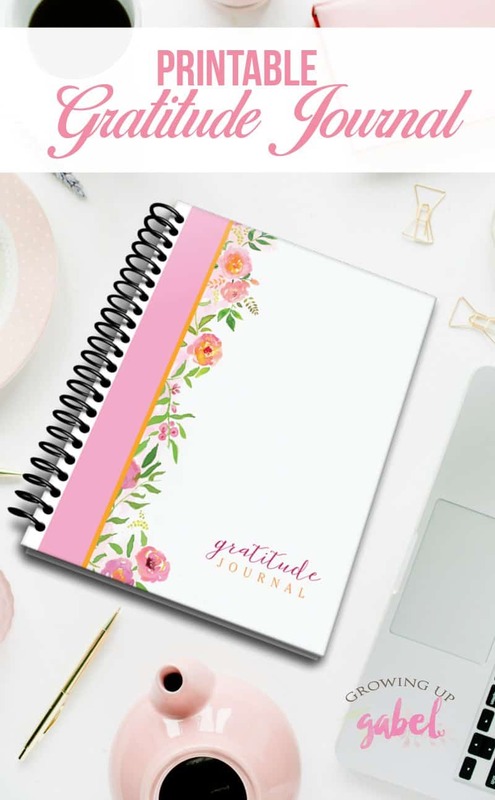 Camille @ Gowing up Gabel shared her 30 Days of Gratitude Challenge with a Free Printable Journal I love keeping a gratitude journal, I've been doing it for years now, and this is definitely a beautiful one! 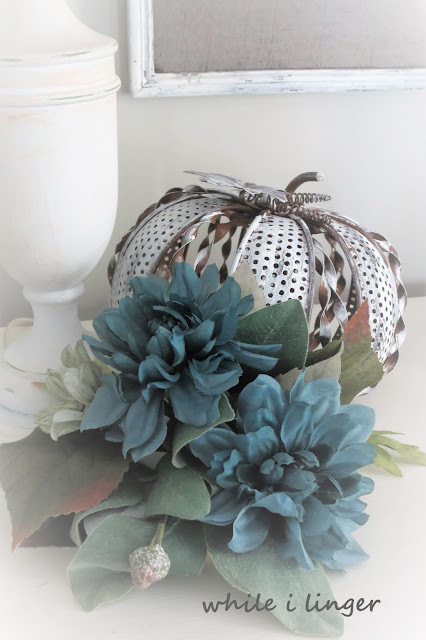 And, finally, last but not least, Debby Goes Shabby shares all about the love that went into her Livingroom in her post titled Fall in Love Super sweet way to decorate your home, Debby. Thanks so much for sharing it with us. Thanks for hosting and wish I had a slice of your biscotti now! Thanks for the party, Theresa! Hope you have a wonderful weekend. We had hints of fall earlier this week, but it's back to the 80s now. I'm really hoping for a drop in temperature! Your biscotti looks great. Going to click over and have a look. Awe, thank you so much Beverly. I'm good. I hope you have a great weekend too! I have no idea how long will be cooler, it's still 70's and could go up at any time. I hope you get some fall weather soon. Thank you for coming and sharing here. I'll try and join you this Sunday! All about love which is certainly what happened! Thank you for the feature, if you love it, it will work, we all have to believe. You made this shabby girl smile, gleam, and will continue to post beautiful shabby things, I hope everyone loves. Thank you, for you and your party! Debby, I am so glad. I truly enjoyed reading every word and loved all your "keepsake" furniture and decorations, to know they were all inspired by pure love means that your a women after my own heart. I'm so glad you'll continue to delight me in this way. Happy Weekend! love and Hugs in return. Hope you got some rain, Theresa! Your orange almond biscotti looks and sounds delicious! Thank you so much for inviting my to share my red rag wreath at your awesome party, Theresa. Hopw you have a wonderful week.